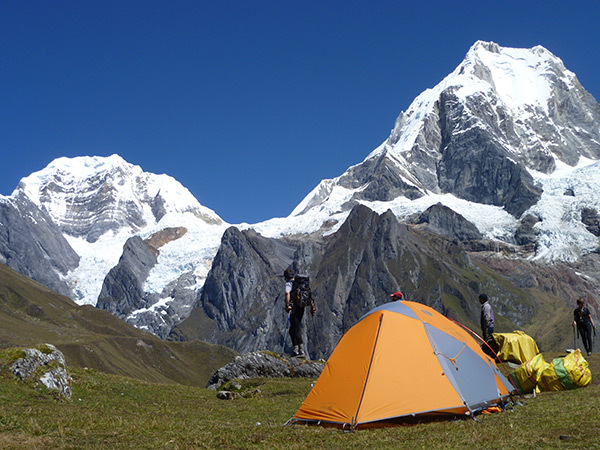 The fantastic ice range of the Cordillera Huayhuash is renowned for knife-edged 20,000-foot peaks that attract mountaineers from around the world. Seven of Peru’s highest peaks rise from this dramatic massif, whose awesome beauty can be seen in the gripping adventure film Touching the Void. 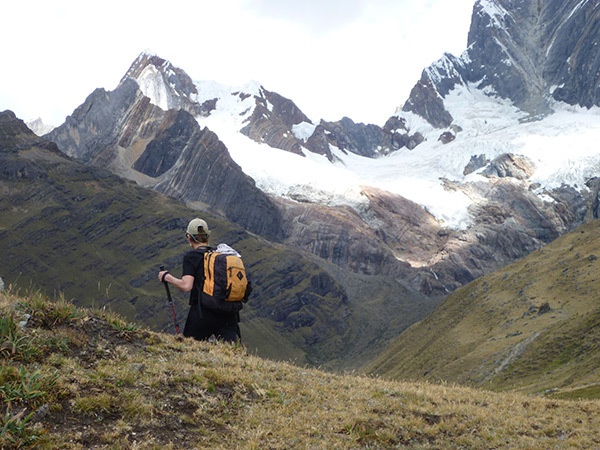 Our challenging 12- 14-day treks crosses eight high passes as we circle the entire range, with nearly continuous panoramas of towering Andean giants, including Yerupaja (21,759′), second highest mountain in Peru. 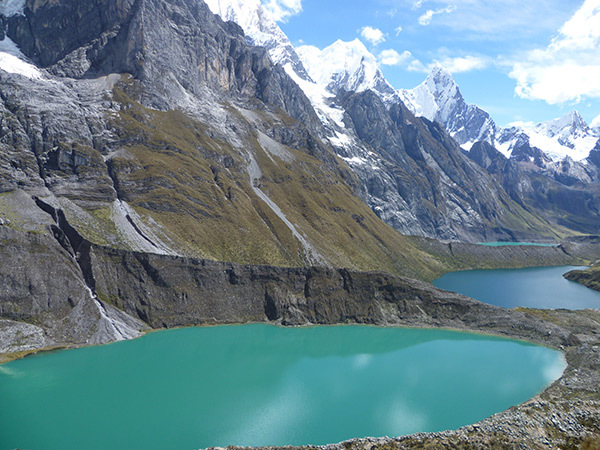 Our adventure culminates in an optional climb of Diablo Mudo (17,235′), a non-technical snow peak with panoramic views across the entire Huayhuash. Sunny blue skies, mild daytime temperatures, and a profusion of edelweiss and purple lupine make these mountains an alpine paradise. After breakfast in hotel, our guide will pick up you then drive to the village of chiquian, llamac and finally Pocpa our first camp at 3,400 5 hours drive. place where our donkey driver will be waiting for us and ready for next day. Day 08: San Antonio – San Antonio Pass 5,020m. – Cutatambo 4,300m. 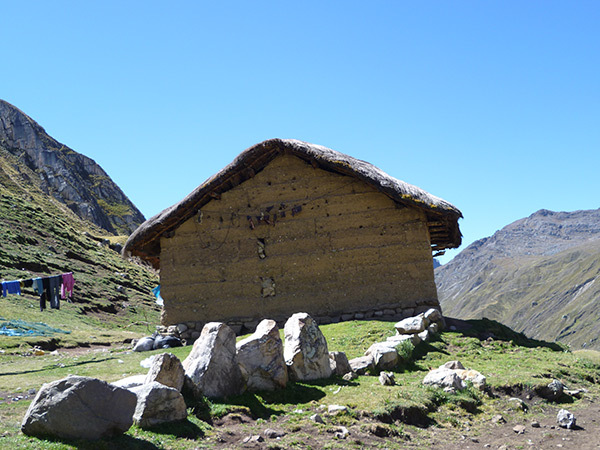 Follow the calinca valley we go down to huayllapa village long the way we will see typical vestments of the local people then we climb up to huatiac camp it take 6 hours. 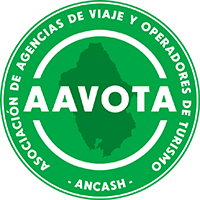 Day 13 Jahuacocha – Visit to Cerro Amarrillo or rest day. The people who want12 days of trek, Our itinnerary continue from day 10 and they not will have rest day in Jahuacocha.